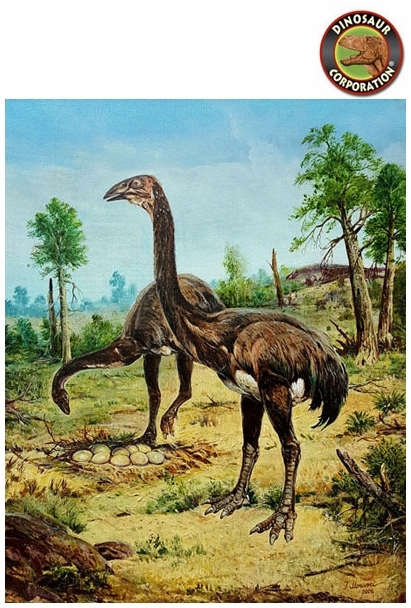 Dinornis robustus by Josef Moravec. Oil painting size 20" x 16". The giant moa (Dinornis) is an extinct genus of birds belonging to the moa family. Like all Moas it was a member of the order Dinornithiformes. It was endemic to New Zealand. Two species of Dinornis are considered valid, Dinornis novaezealandiae of the North Island. Dinornis may have been the tallest bird that ever lived, with the females of the largest species standing 3.6 m (12 ft) tall, and one of the most massive, weighing 230�240 kg (510�530 lb) or 278 kg (613 lb) in various estimates.